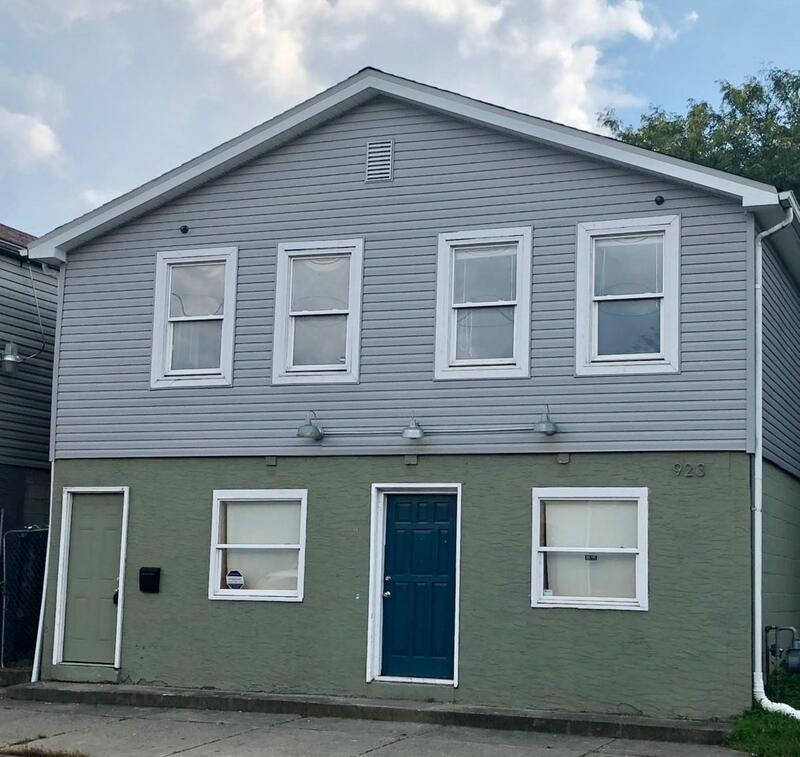 Unique opportunity to own a residential/commercial duplex in Franklinton. Property was renovated and is ready to rent!Upstairs is a 2 bedroom, 1 bath rental unit with large rooms and updated kitchen and bathroom. Refinished wood floors and 2 entrances. Washer and dryer in unit. Previously rented for 645$.Downstairs is an open-concept commercial space with a kitchen room and a bathroom. With 2 entrances and access to basement. Previously rented for 845$.Large, fenced yard with parking for 3-4 cars behind. New roof, siding, ACs, furnaces. Newer windows, updated electrical and plumbing. Listing provided courtesy of Alex R Enderle of Best Homes Real Estate Ltd.